Motor: Two-cylinder air cool, 4” diameter bore engine. Believed to be one of the few still in existence. 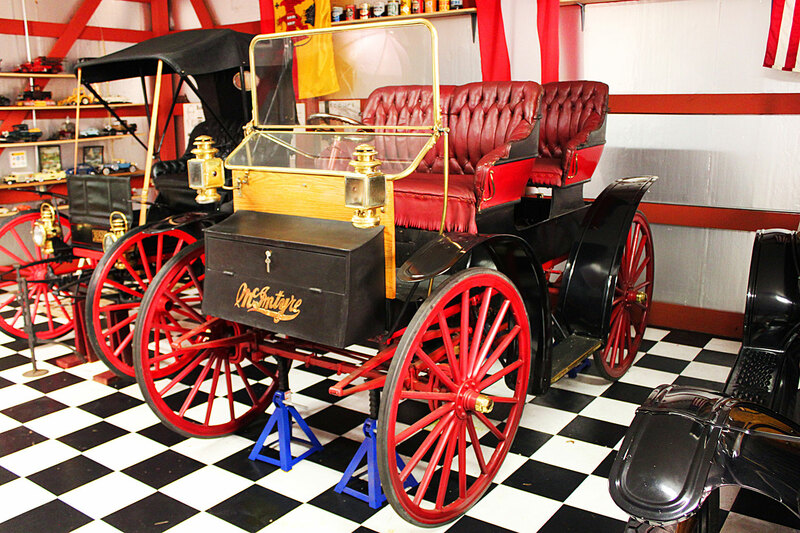 This 1909 McIntyre was donated by Mr. Charles Anderson and restored.